The colours of the fish appear darker once settled into aquarium life. Head detail of A. sp. 'AR02'. The colouration and patterning are unlike any of the three described species in the genus. Unconfirmed but seems to be adult at 30 – 35 mm. A group will need a tank with base dimensions measuring upwards of 45 ∗ 30 cm. 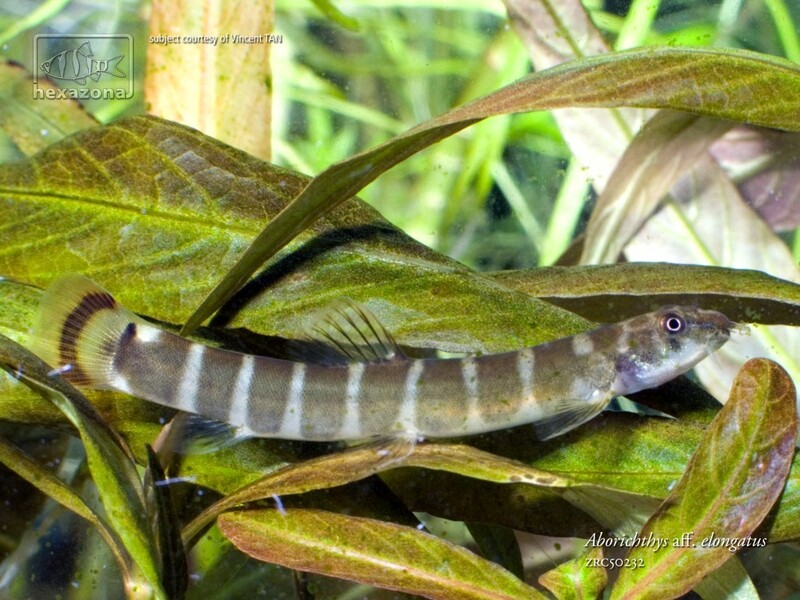 Not difficult to maintain under the correct conditions – we strongly recommend keeping it in a tank designed to resemble a flowing stream/river with a substrate of variably-sized rocks, sand, fine gravel and some large water-worn boulders. This can be further furnished with driftwood branches arranged to form a network of nooks, crannies and shaded spots for this inquisitive species to explore. 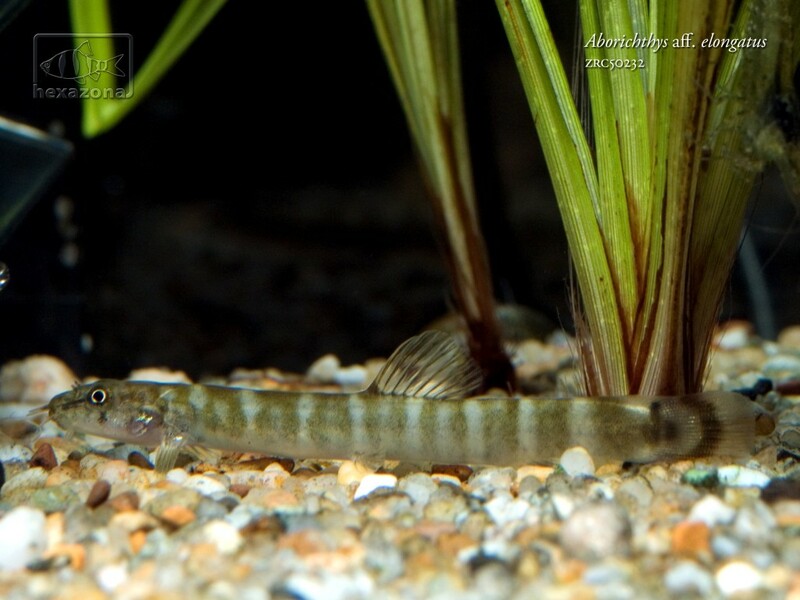 Since Aborichthys species like to dig decorative items are best placed directly onto the tank base before the substrate is added. Not especially aggressive but remains largely unsuitable for the ‘general’ community aquarium due to its specialised requirements. Certainly slow-moving/long-finned species should be omitted because they’re likely to struggle with the necessary level of water movement and may end up with nipped fins or be outcompeted at feeding times. Placid bottom-dwellers such as Corydoras or Pangio species are also best avoided. 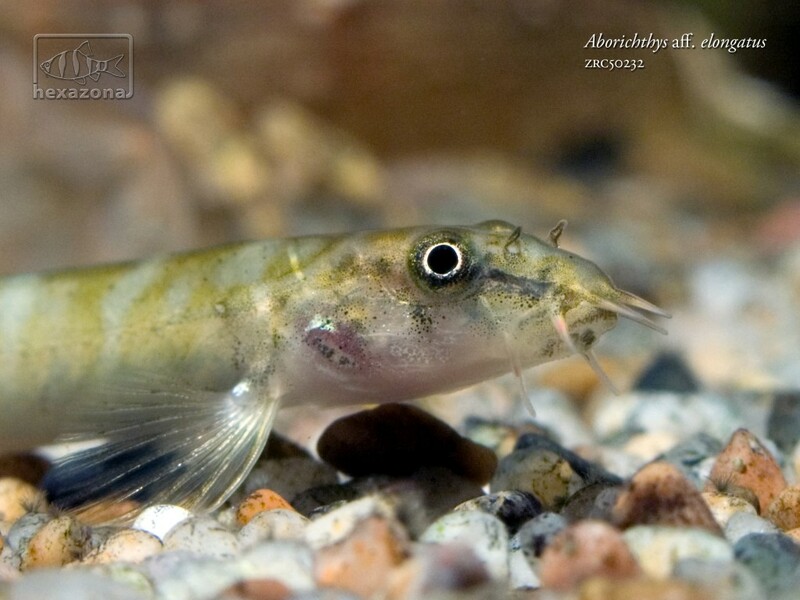 More suitable are many Danio, Devario, Rasbora and Garra species, as well as gobies from genera such as Rhinogobius, Sicyopterus and Stiphodon or catfishes like Glyptothorax, Akysis and Oreoglanis species. 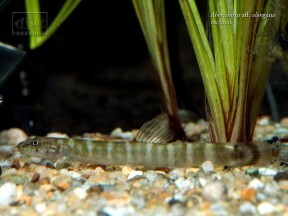 Many loaches from the family Nemacheilidae and most from Balitoridae are also suitable although squabbles may occur with the former group in particular. Research your choices before purchase in order to be sure. This fish occasionally turns up as a contaminant in shipments of A. sp. ‘AR01’. The latter is usually traded as A. elongatus but that species appears endemic to higher altitude waters of the Brahmaputra drainage in Darjeeling District which borders Jalpaiguri to the north east. These flow down from the Sivalik Hills whereas the Raidak I originates in Bhutan. 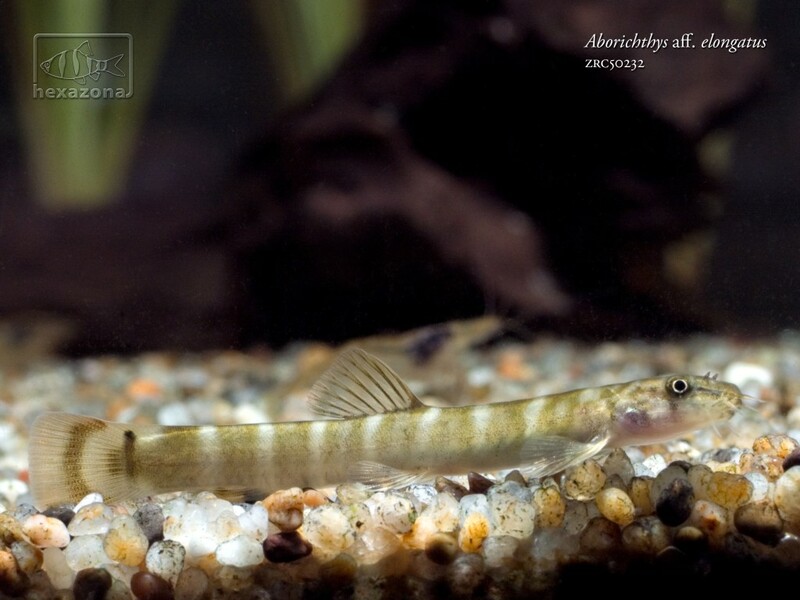 Five species of Aborichthys have been officially described to date but this one appears to represent an undescribed species. It can be told apart from others in the genus by its small adult size and patterning, particularly the relatively wide dark vertical bars which extend the length of the body, and single reddish bar in the caudal–fin. We’ve listed it as A. sp. ‘AR02’ after Andrew Rao who contributed invaluable information regarding its origin. Tekriwal, K. L. and A. A. Rao. 1999 - Kingdom Books, TFH, UK. 144 p.